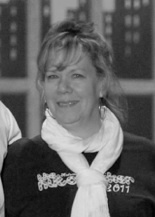 Lynn is the current owner of Fleetwood Dance Center and the Artistic Director of Fleetwood Dance Theatre, Inc. She received her early dance training under Pittman Corry, Karen Conrad, Yurek Lazowski and Richard Gain. She furthered her studies at Florida State University and North Carolina School of the Arts. Lynn also holds a BBA degree in Marketing from Georgia State University. Her students have been seen in performance with Fox 5 Good Day Atlanta, Walt Disney World and FOCUS. A native of the Washington D.C. area, Joy studied dance at The Washington School of Ballet under the direction of Mary Day, Lupe Serrano, Victoria Leigh, Patricia Berrend and Rudolph Kharatian. As a youth she was selected to join The Young Dancers of the Washington Ballet with performed with the Washington Ballet Company. She later joined the Southern Ballet Theatre (now The Orlando Ballet), and continued her career dancing with the company and teaching at The Southern Ballet School of Dance. Joy has been instructing at Fleetwood Dance Center since 2000.